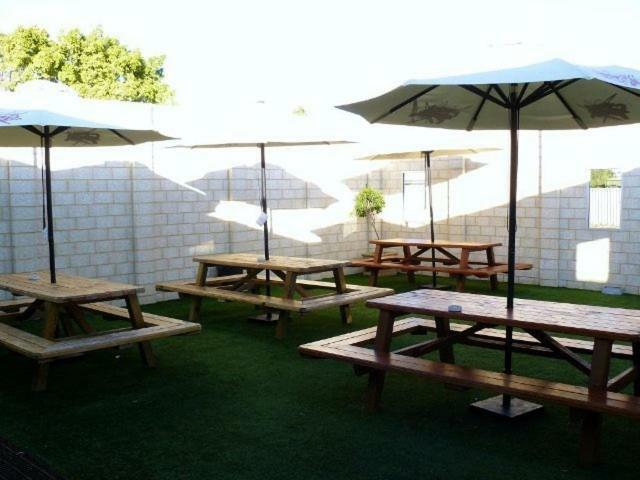 Free Wi-Fi is provided at the Jurien Bay Hotel Motel, just a 2-minute walk from Jurien Beach. The on-site restaurant and bar is open for lunch and dinner every day. Each room at the Jurien Bay Hotel is on the ground floor and includes air conditioning, heating and a TV. Tea/coffee making facilities and a mini refrigerator are provided. Seachange Bar serves bistro-style meals, such as burgers or fish and chips. Gaming facilities and a liquor store are also available on site. The Pinnacles Visitor Centre is a 20-minute drive away. Jurien Shopping Center is next door.